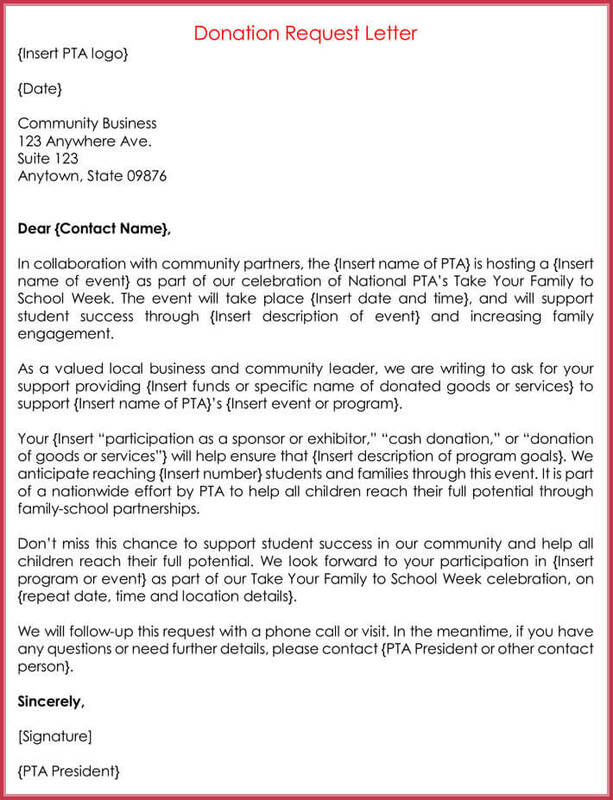 Donation and support letters are essential when approaching businesses or individuals for financial aid as they enable the organization to persuade others why they should contribute and support the cause in a meaningful way. 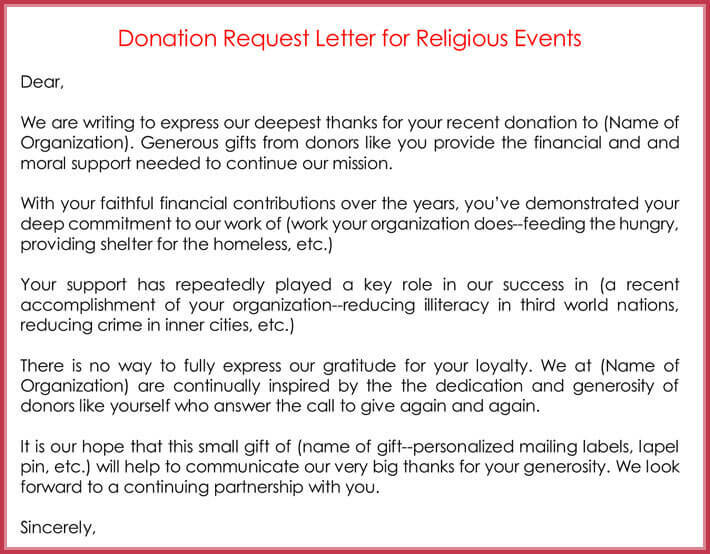 Donations can be solicited through letters on a consistent ongoing basis, as part of a fundraising drive or in the build up to an upcoming project that requires additional funds. 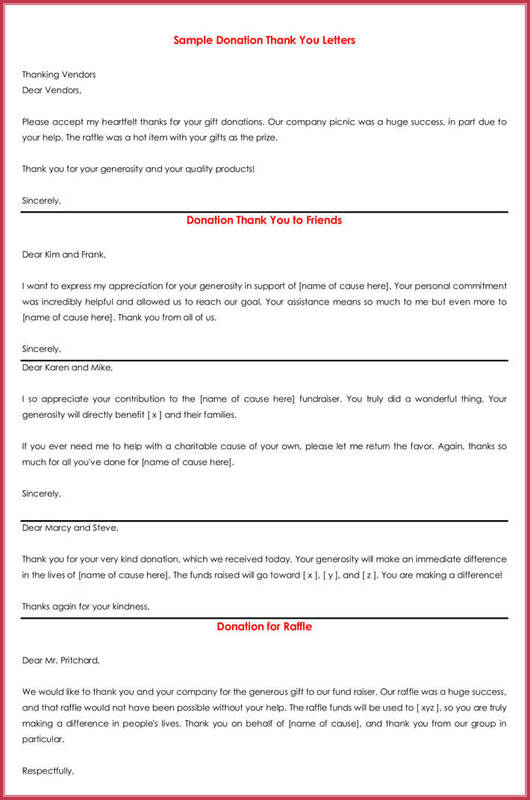 A thank you letter, however, is often sent after a donation has been made, whether as a once of contribution or as part of an ongoing commitment. 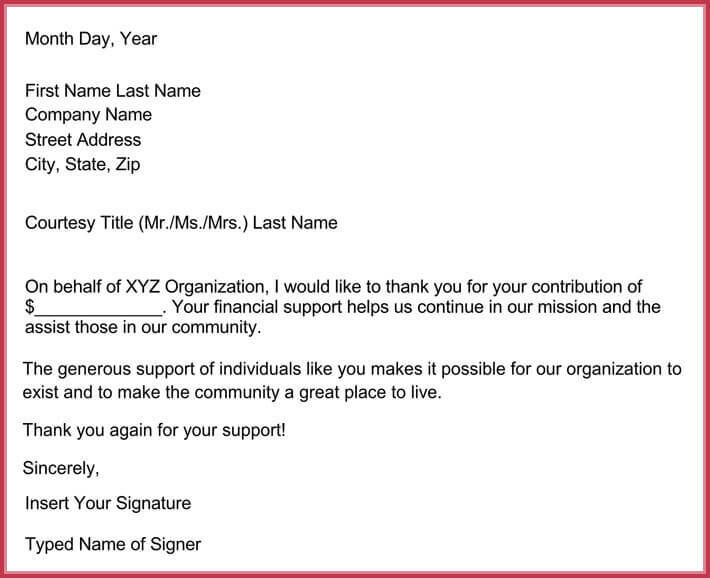 A thank you letter is a crucial part of maintaining regular donations and fostering great relationships between your organization and its benefactors. 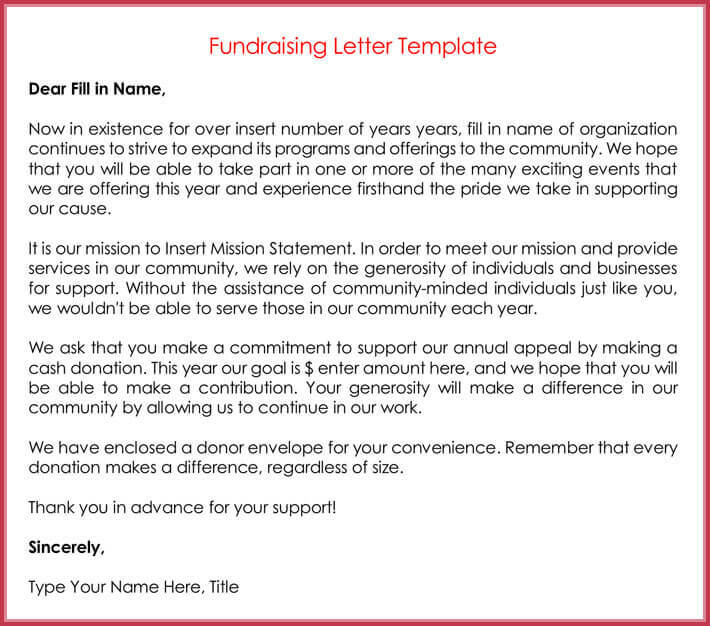 Fundraising or donation drives often involve donation letters being sent out en masse, therefore, it is crucial to be able to edit your letters and customize them in a way that enables you to directly address the reader. 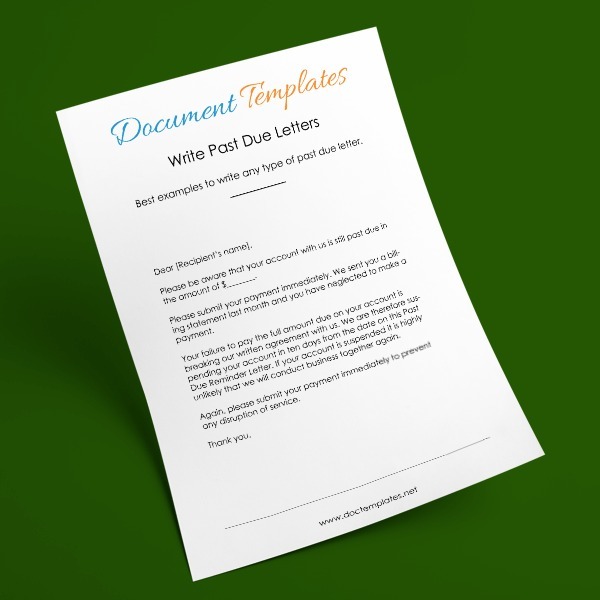 With a well-designed sample, it is easy to create a master document that can be easily edited to include the details of the addressee. 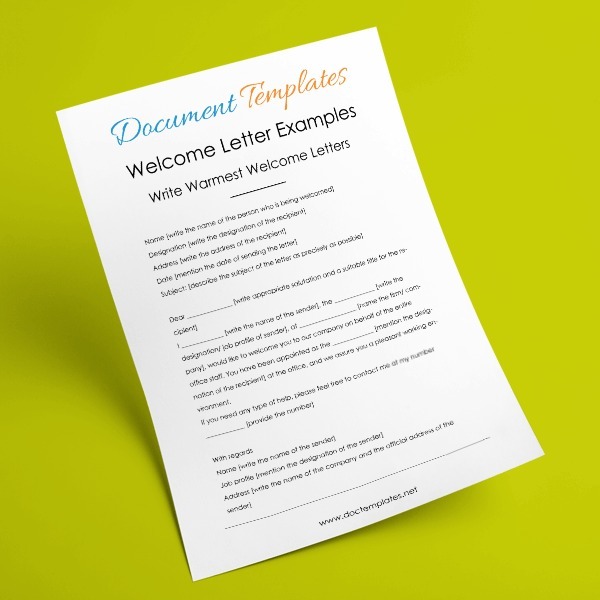 Samples can also direct your wording and tone, allowing you to follow simple rules to ensure that your letter is persuasive and professional. 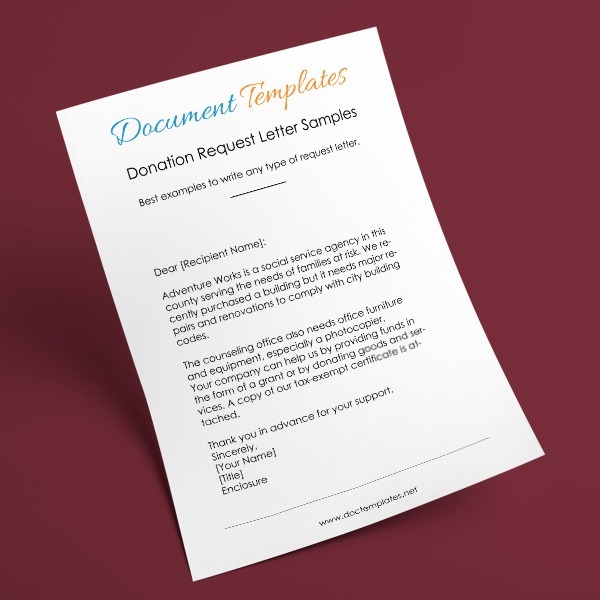 Clean and simple formatting, as demonstrated in our samples is key to creating a great donation solicitation letter as you need your message to be clear and effective. 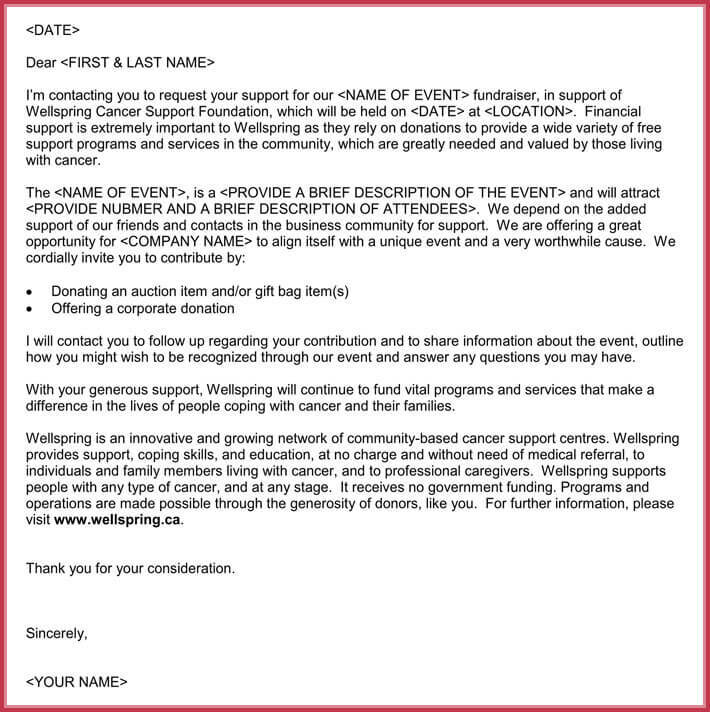 Ensuring that you let your potential benefactor know how their help can make a difference is a key part of any correspondence. 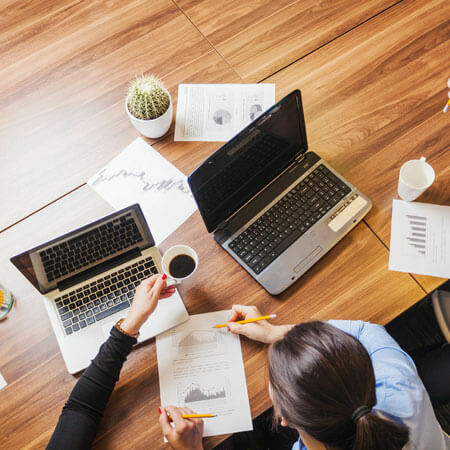 When you are soliciting donations for your cause it is crucial to maintain a great relationship between your organization and your donors, this is particularly important when looking to secure ongoing support. However, even if you only looking for a one-time contribution it is important to look after your donors and express your appreciation. 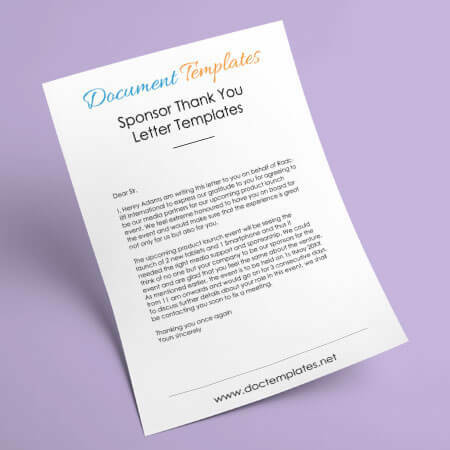 Sending your benefactors a well-worded thank you letter can be incredibly helpful when showing your appreciation and letting them know that their contribution made a real impact. 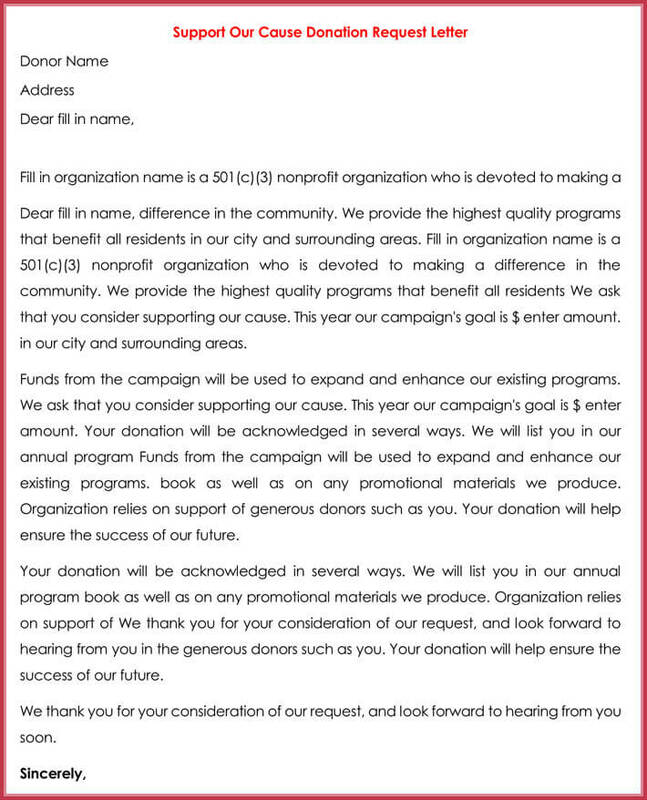 With a high-quality sample, you can make your donation thank you letter professional in both presentation and wording. 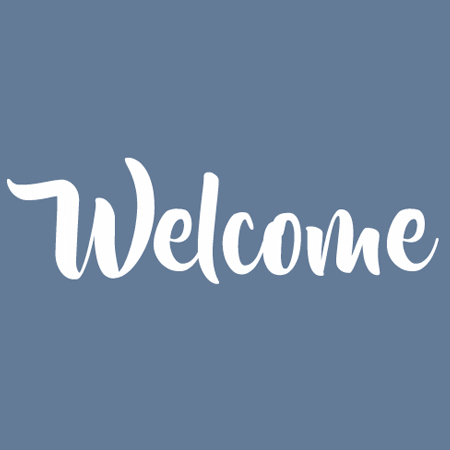 Expressing your sincere gratitude can easily be facilitated through a specifically designed sample that uses tried and tested formatting and wording to create an effective document. Do: Include specific details of your organization as transparency and detail are the best way to inspire trust in your reader. Don’t: Demand support. 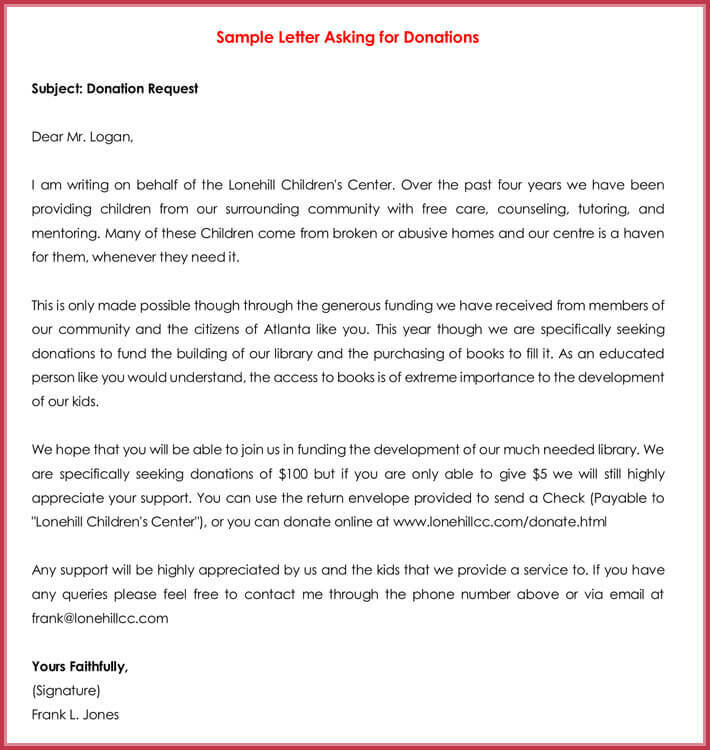 Your approach to soliciting donations needs to be gentle and professional. The reader shouldn’t feel pressured. 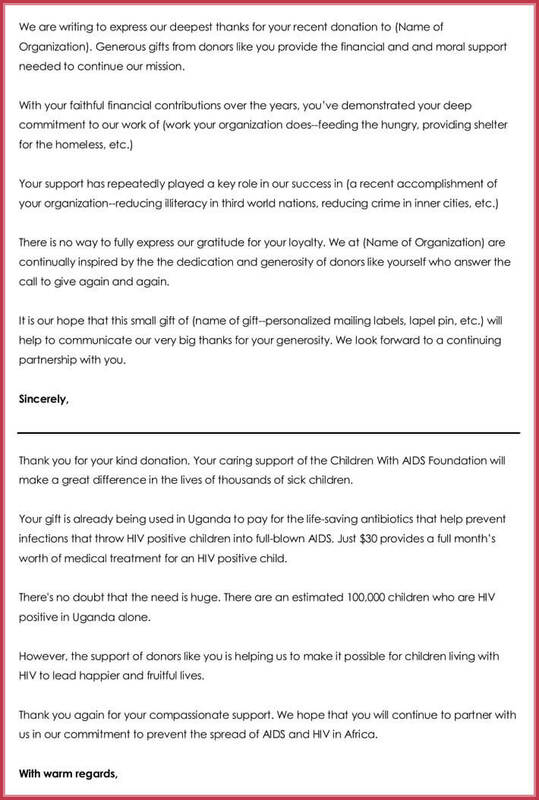 Do: Write how donations will be used to further causes, organizations or programs. 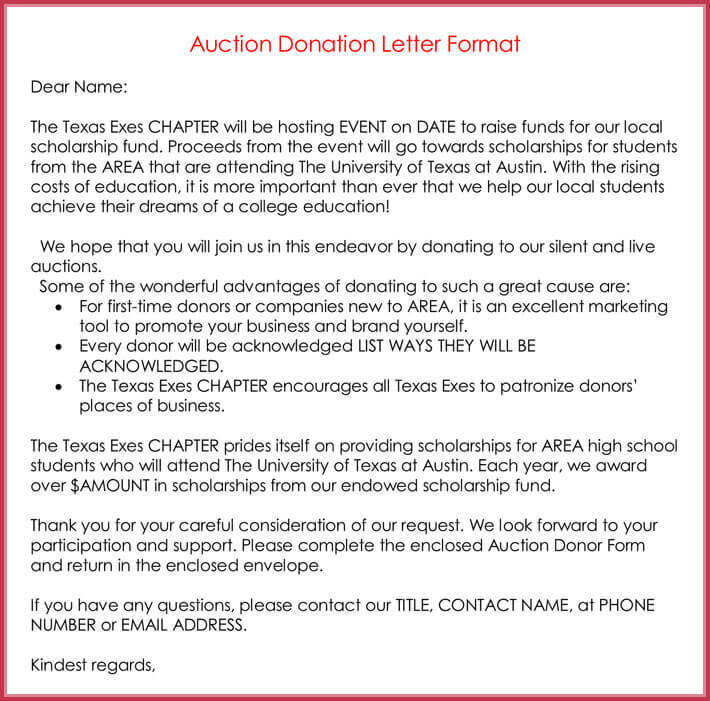 If you are soliciting donations for something specific ensure you include that information as your letter will be more persuasive. Don’t: Clutter your document with ornate formatting and details. Using a sample for guidance is a great way to assist you in keeping the formatting simple and appropriate. 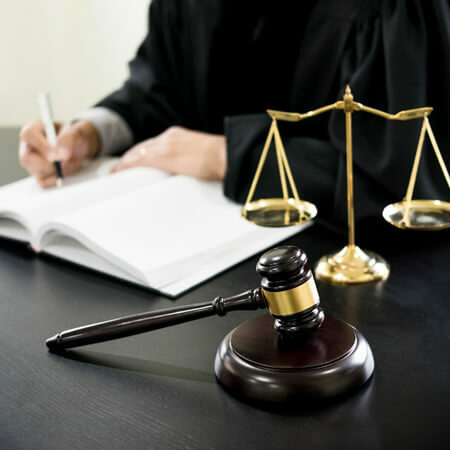 Do: Include a clear call in the end passage of your letter. Leave the reader in no doubt as to what they can do next to help out.